The Supreme Court has held that a candidate with higher qualification cannot claim right to apply for posts with lower qualification, unless the relevant statutory recruitment rules permit the inference that higher qualification presupposes the acquisition of lower qualification. "Absent such a rule, it would not be permissible to draw an inference that a higher qualification necessarily pre-supposes the acquisition of another, albeit lower, qualification. The prescription of qualifications for a post is a matter of recruitment policy. The state as the employer is entitled to prescribe the qualifications as a condition of eligibility. It is no part of the role or function of judicial review to expand upon the ambit of the prescribed qualifications. Similarly, equivalence of a qualification is not a matter which can be determined in exercise of the power of judicial review", held the Court. The bench of Justices U U Lalit and D Y Chandrachud was dealing with a case pertaining to recruitment to the post of Technician-III in Power Department of Jammu & Kashmir. The qualification prescribed for the post was "matric with ITI". Few candidates possessing Diploma in Electrical Engineering applied, though they did not have ITI certificate. Their applications were initially accepted, and they were shortlisted for interview after written examination. At that juncture, the Service Selection Board decided to exclude these applicants on ground that they did not have the prescribed qualification. This action of Board was challenged in the Jammu and Kashmir High Court. The Single Bench quashed the decision to exclude the applicants, holding that their higher qualification of Diploma presupposes the possession of lower qualification of ITI certificate, and directed their inclusion in the select list. This was however set aside by the Division Bench in appeal by the Board. Challenging this, the applicants approached the Supreme Court. 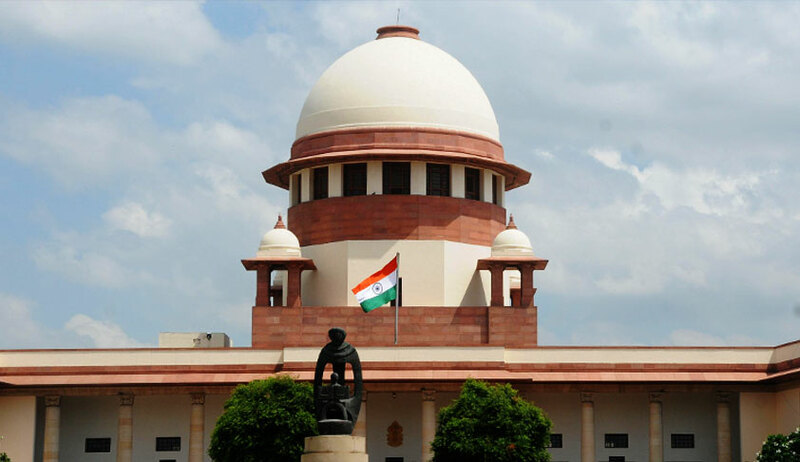 In Supreme Court, they placed heavy reliance on the decision in Jyoti K K v Kerala Public Service Commission,where the SC held that qualification of B.Tech will presuppose the acquisition of lower qualification of Diploma, which was the prescribed qualification for selection to the post of Sub Engineers in KSEB. The bench however distinguished the decision in Jyoti case. It was noted that in Jypoti, the relevant Rule - Rule 10(a)(ii) of the Kerala Subordinate Service Rules - itself made a provision for acceptance of those higher qualifications which presuppose the acquisition of lower qualification. However, in the instant case, there was no provision in the statutory rules which enabled such acceptance of higher qualification. "The decision in Jyoti KK turned on a specific statutory rule under which the holding of a higher qualification could pre-suppose the acquisition of a lower qualification. The absence of such a rule in the present case makes a crucial difference to the ultimate outcome", the bench held. The bench referred to State of Punjab v Anita, which had explained Jyothi decision, stating that higher qualifications can be accepted only if specific provision exists in the Rules. Reference was also made to the decision P M Latha v State of Kerala, a two judge Bench of SC rejected the contention that the B.Ed. qualification is a higher qualification than the Trained Teachers Certificate (TTC) and that a B.Ed. candidate should be held to be eligible to compete for the post of a primary school teacher. The Court further added that prescribing qualifications of a post was a policy matter, in which the Courts cannot interfere. "equivalence of a qualification is not a matter which can be determined in exercise of the power of judicial review. Whether a particular qualification should or should not be regarded as equivalent is a matter for the state, as the recruiting authority, to determine", held the judgment authored by Justice Chandrachud. Though the appeals were dismissed, the Court directed the board to give age relaxation of four years for the posts to be notified in next two years, having regard to the fact that they have been become age barred now in view of the litigation pursued for last four years.